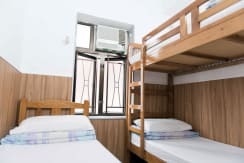 Ah Shan Hostel is located at Mong Kok, the well-known shopping and sight-seeing area in Kowloon Hong Kong. Shopping malls, street markets and entertainment places are located within 5mins walking distance. Plenty of local style, Chinese, Western, Asian and vegetarian restaurants surround the building. 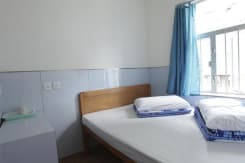 All 66 rooms of the hostel are equipped with LCD TV , Free unlimited local calls, shower facilities, drawer and storage place. The hostel has complied with government regulations on fire safety and building safety. (License nos. 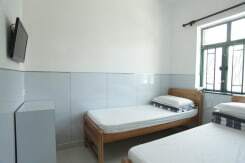 H0449) All rooms are kept extremely clean and comfortable by friendly staffs. free WIFI available. - We refurbished our room every year to make your stay comfortable. 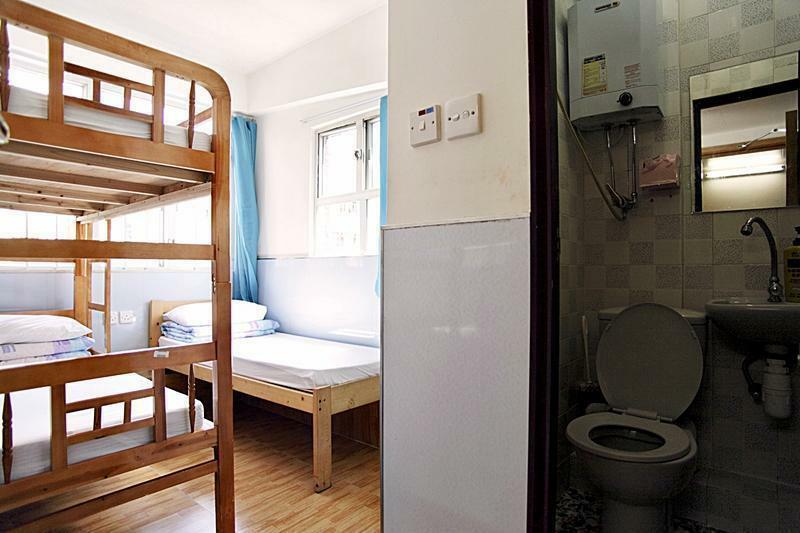 Near 70 room from single, double/twin/triple, 4, 5 ,6,7 people ensuite rooms and mix dorm for everyone. - FREE WiFi,internet access at room, TV, individually air-con, private toilet with hot/cold showers in every room. - Same day luggage storage for free. - All Outstanding balance need to be paid on check in and CASH (HKD) only. - All our rooms are non-smoking rooms. Reception closes from 12am to 8am. Customers are required to email us prior arrival if check in or check out during the above time for special arrangement. The outstanding amount is payable to Ah Shan Hostel directly upon your arrival before you check into your room. We accept payment by Cash (HKD) and Credit Card (Mastercard and Visa and China Union Pay). There is a 3.0% credit card transaction fee. You can cancel any booking WITHOUT CHARGE as long as you do this NO LATER THAN 3 days (72 hours) before 09:00 hrs HKT of the date of your arrival. 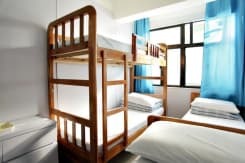 Notification of cancellation must be done by email and the time of the arrival (HKT) of the email is the time Ah Shan Hostel receives the email. If you NO SHOW or CANCEL or PART CANCEL your booking LESS THAN 3 days (72 hours) before 09:00 hrs HKT of the date of your arrival WE RESERVE THE RIGHT to charge your credit card (including a 3% credit card fee) for 100% of the first nights of any booking. By clicking on the green CONFIRM PAYMENT on the 'Part 5. Final Step' button when you make your booking, you agree to ACCEPT the Ah Shan Hostel Terms and Conditions listed above and confirm that you have read and agree to all the terms and conditions including those of PAYMENT and PRE AUTHORIZATION and LATE CANCELLATION, PART CANCELLATION and NO SHOW. Please note that you are contracting with AH SHAN HOSTEL in respect of your reservation. We accept cash and Credit Card upon arrival. - the best way is to take Airport Bus A21 which rate at HK$33.00 per person and the trip is about 35mins. Crocodile' keep walk forward, cross the other traffic light, our entrance is in the middle of those mobile shop. After mid-night, you can take Airport bus N21 which has similar route and same price at HK$33/person. Transfer to the MTR transit, then go to MongKok MTR station, take Exit D2 to go Sincere House, 14/Floor Reception. -Take taxi to Sincere house. It costs about HK$30. Take taxi to Sincere house. It costs about HK$35. There are 2 entrances of Sincere House: at Fa Yuen Street (24hrs) & at Tung Choi Street (7am-11pm). 從羅湖口岸: 乘坐港鐵( 東鐵 ) 到旺角東車站下車， 然後B 出口. Please select your 'arrival time' carefully, the hostel will only hold the room for 2 hours after your given arrival time. The hostel reserves all rights to cancel all late check-in WITHOUT any deposit and booking fee refunds. If there are any scheduled changes or delayed flight, please contact the hostel via email/fax/phone to change the booking details to secure your booking. Our reception is on 14/F ONLY with a big LOGO - 'Ah Shan Hostel Dragon INN' at our entrance. To aviod staying in counterfeit hostel, please make sure you take lift to 14 floor ONLY. And, we have no reception on other floors. There will be NO refund and your credit card will be charged for no show if you stay in a wrong place.